JRPG Jungle: My Five Favourite Games I Played in 2015! My Five Favourite Games I Played in 2015! Somehow, I managed to play next to no new JRPG releases this year. In some ways, I regret missing new games such as Tales of Zestiria and Sword Art Online: Lost Song. On the other hand, I caught up on some classic games, along with others I'd been curious about (I'm looking at you, Conception II). With this in mind, my list of favourite games this year includes the favourites of what I played this year, regardless of release year. I love these games all for very different reasons and each minute playing them is a fond memory from this year. With this in mind, I hope you enjoy this list and Merry Christmas dear readers! 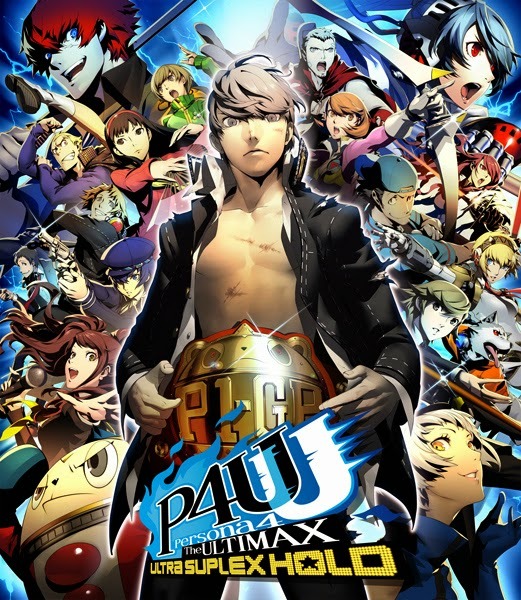 Persona 4 Arena was fun, but Persona 4 Arena Ultimax's character roster and streamlined story make for a polished and fun experience that made it fly right into being one of my favourite fighting games ever. I never fully the finished story mode of this game (I want to finish Persona 3 before going deeper into it's part of the story), but it was my go to game to play with friends and my boyfriend after a long day of work. With plenty of modes to play, there will always be many reasons to come back to this game. It's not a JRPG, but fans of either Persona 3 or 4 and fighting games are highly likely to enjoy the game because of the new chapter of the story and the return of many important characters from Persona 4. You can pick up Persona 4 Arena Ultimax from Play-Asia.com! 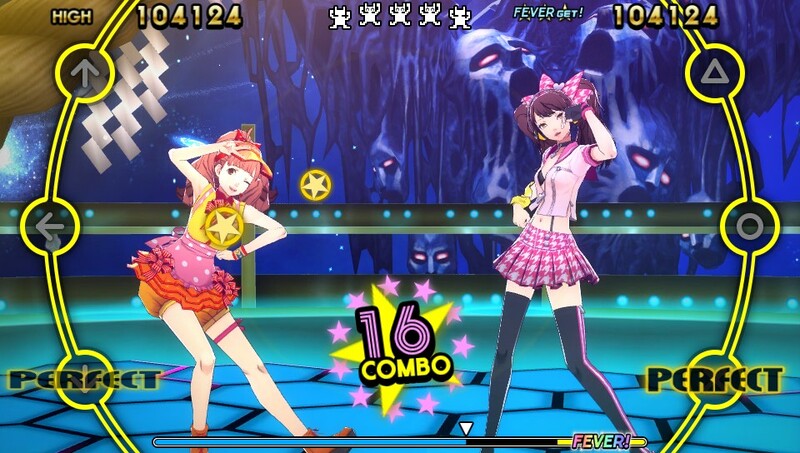 Persona 4 Dancing All Night is the Persona spin off that shouldn't have worked, but it excels as a rhythm game and has a pretty nice story too. I didn't want to wait for the localisation, so I bought the Japanese version so I'm not as well versed with the story as I'd like to be, however Kanami and Nanako made an adorable duo and the rhythm game portion had me tapping and pushing buttons to trump all my high scores over and over again. I'm excited to put this game in my Vita and try platinum it sometime (91% so far!) and the soundtrack was great enough to make me buy it as a standalone after I'd finished playing it. I love rhythm games anyway, so this game was easy for me to digest but if you have any love for Persona 4's soundtrack, this game is a must try and as probably the last spin-off of Persona 4 since Persona 5 is coming, it's a fun end to a great series. You can pick up Persona 4 Dancing All Night from Play-Asia.com! 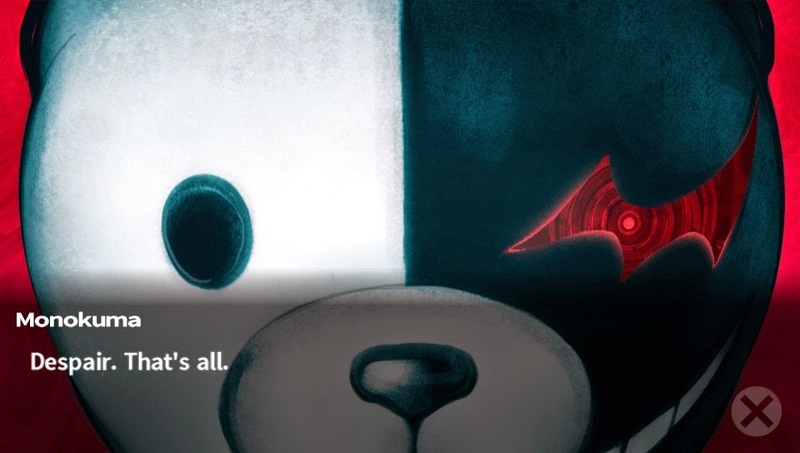 As a huge fan of deep, JRPG stories, Danganronpa's complex story was more than enough to satisfy me in it's visual novel form. Both the first and second games are full of intricate mysteries, colourful characters and enough game mechanics to make it satisfying for fans of both visual novels and exciting storytelling. Not only does it have a great story, the class trials feel incredibly satisfying with the variety of game mechanics incorporated, making it more than just a visual novel. As a series I had never delved into, Danganronpa has become one of my all time favourites very quickly and I'm very excited for the third installment to hopefully come out next year. Fans of the mystery aspect of Persona and Phoenix Wright should find many reasons to love this game and I honestly can't recommend it's story enough. You can pick up Danganronpa 1 and 2 from Play-Asia.com! I really want to play all the old Final Fantasy games, especially since I started my journey into Final Fantasy from X meaning that I missed out on the classic Final Fantasy games before it. 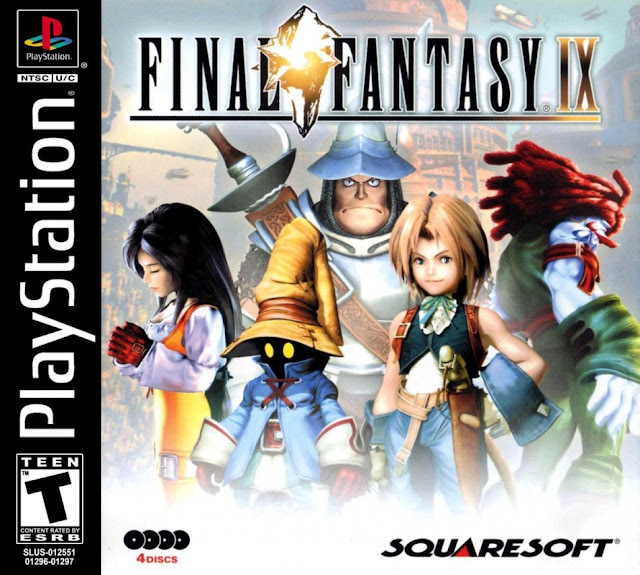 I began my journey backwards into the series from IX and it was well worth it to find this gem of a Final Fantasy game. What it lacks in modern day graphics is made up for by a solid story, fun battles, cool equipment mechanics, side quests and beautiful music. The story's strong characters are just as interesting without voice acting - it's hard not to fall in love with characters like Vivi, Zidane, Garnet and even Steiner! If you missed this one and you're a fan of long, old style JRPGs, go back and play this game because good golly it's worth it! You can pick up Final Fantasy IX as a PS One Classic from your local PSN store! Final Fantasy Record Keeper has a special place in my heart this year. Record Keeper came out when I was very, very tight on money after moving and became my addition very quickly because it's free. There's in-game purchase options of course, but it's extremely easy to enjoy the game without spending a cent, like I did for months. Basically a JRPG without the story, Record Keeper's equipment system, perfectly timed new/weekly dungeons and level challenges keep me on the game on the go and in my house. It manages to be both very involved because of it's many systems (and they're only adding more) but also easy enough to pull away and jump back in later. It has a decent nostalgia factor, thanks to the game being filled with the best boss fights, characters and music from the main Final Fantasy series. There's many reasons to love this game if you're a Final Fantasy fan and if you don't have time to play or money to purchase a long JRPG, this is one of the best substitutes out there. I stopped playing this game only because after four months of playing, it inspired me to go back and try the older Final Fantasy games. 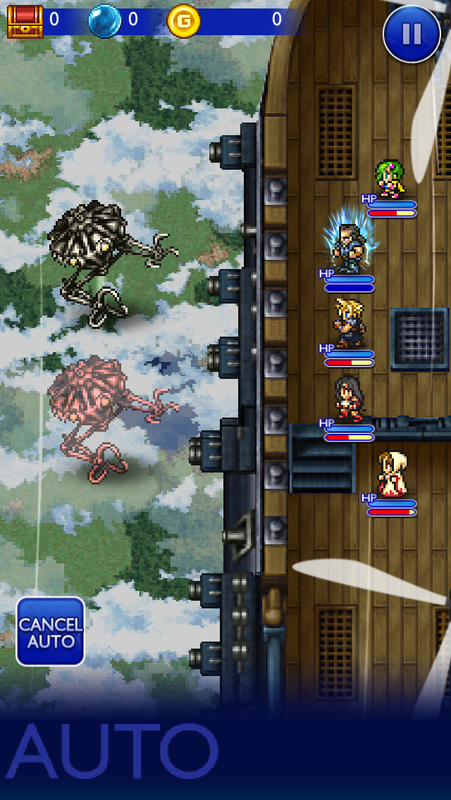 It's my top game of the year (although I love the other games on an extremely close level) thanks to it's additive and fun nature, it inspiring me to finally (no pun intended) play older Final Fantasy games again and it being the only mobile game that has ever inspired me enough to put down my consoles for awhile. It doesn't replace a full length JRPG, but it's extremely satisfying on the go! You can pick up Final Fantasy Record Keeper from the App Store for iPhone users or the Google Play store for Android people! What were your five favourite games of the year? Leave a comment below or send @JRPGJungle a tweet and let's talk! Note: This article does contain affiliate links to Play-Asia to help support this site. You can read our Affiliate Link Policy here. I can't wait to try Danganronpa now that I have a PS Vita. I love Ace Attorney, and Danganronpa is one of the series to come to my attention because of that. Danganronpa is brilliant, I highly recommend it if you like exploring mysteries. I just got a 3DS and am keen to play some Ace Attorney games myself while waiting for Danganronpa 3. Should be fun! Thanks. :) I just recently got into the Tales series, with Tales of Xillia. I'm hooked on the series now! I love mysteries, especially in games. That (along with the writing) is one of the reason I enjoy Ace Attorney, as well as games with twisty convoluted plots. Ace Attorney is one of my favorite series of all.